Astrology is both a science and an art. No doubt at some time you’ve read the star sign columns that appear in magazines and newspapers. They are intriguing, thought provoking and sometimes quite amusing. However, they do not represent real astrology and what it has to offer. Star sign columns are general readings for each Sun sign (the zodiac sign the Sun was in on your birthday). They do not take into account the many factors that make up an individual’s horoscope. The horoscope, also called the birth or natal chart, is a symbolic map of the sky at the time of your birth. If you look at a horoscope it’s obvious that there are more planets and influences involved than the Sun alone. It is mathematically divided into 12 sections where the positions of the Sun and Moon as well as the 8 planets and other important elements are mapped. 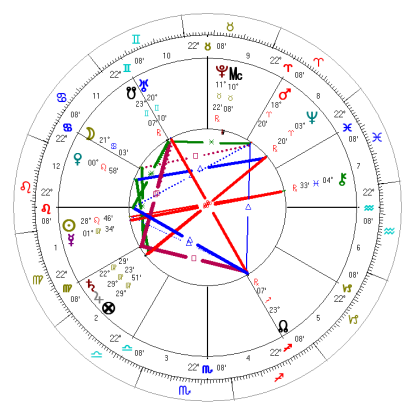 After constructing the chart, the astrologer then applies the art of interpretation to this cosmic map to give insight and understanding to the client. You may be typical of your Sun Sign but the full flavour of your personality, and any forecast made, is influenced by all the planets in your very unique Birth Chart. We are rich in potential, of talents and skills, strengths and weaknesses, potentials and pitfalls. A full analysis describes who you are and helps you understand what your real strengths and weaknesses are. Once aware of these points, you can focus on them rather than striving for the impossible. By watching transit patterns (how the planets move and change) you can begin to make sense of the many changes in your life, and identify the triggers and cyclic patterns underlying behaviour patterns. But it isn’t restricted to your own chart. Parents benefit greatly from the insight and understanding you gain about your children, enabling you to give them compassionate guidance, practical support and reassuring boundaries. With a lifetime of experience, and over 20 years seeing clients, Nikki has a lot of wisdom and advice to offer. 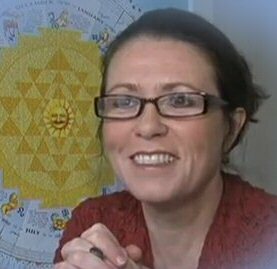 In 1996 she formalised her knowledge with a Diploma in Applied Astrology from AstroSynthesis. Currently, she sees clients, write articles and daily scopes for magazines and the Internet, as well as running classes and her website. Nikki specialises in children’s charts, as well as relationships and vocational astrology. Other areas covered includes health, timing/electional and relocation. A consultation is an enlightening adventure in consciousness and can help you gain clarity and self-understanding. Click on the arrow in the image below to hear a brief introduction. How is an astrology session conducted? You can have a phone, Skype, or face-to-face session or you can simply order a Specialty Report that is personalised for you based on your birth data. If you have a phone, Skype, or face-to-face session, you can also choose to have a detailed natal report sent to you after the session. Astrology sessions are 1 – 2 hours. Printed astrology reports are 18-30 pages. Nikki conducts many of her sessions via Skype, which is a free internet phone and video call service that you can download for free. Once you have your date and time of birth*, as well as your city and country of birth, click here to go to the booking form, or click the Order Now buttons below. The booking form gives you the opportunity to choose the type of reading you prefer. * Time of birth is listed on some birth certificates, otherwise consult the family or the archives of the hospital you were born in. 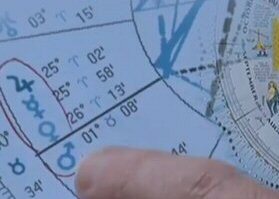 Please note, if you don’t know the exact time of your birth Nikki can still delineate your chart but some detail will be missing. 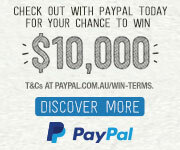 Alternatively, your chart can be rectified for an additonal fee, but it is not 100% accurate. Rectificaion requires five or more event dates (day, month, year), and a brief description of what the events were. Events such as long distance moves, major illnesses, accidents, relationships or marriages beginning or ending, children, major job changes, changes of residence, or deaths of loved ones, including pets, are all good examples. Once your booking details are received, Nikki will email you to confirm your session. If you have any questions, or would like your chart rectified, please contact Nikki before you make a booking. If this is your first astrology reading, a Birth Chart interpretation is the place to begin. This will provide you with a detailed overview of your life path from an astrological perspective. In a personal consultation you can focus on a specific theme such as self-understanding, personal relationships, childhood issues, health and well-being or vocational direction and changes. Alternatively, if you’ve had an astrology reading sometime over the last few years then you may wish to ask Nikki for an update, which is referred to as a Transit Report or “the year ahead”. Click here to order Birth Chart drawings, Consultations and Printed Reports for yourself, your partner, family and friends. 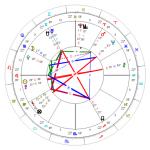 The birth chart reveals strengths and weaknesses, potentials and pitfalls, skills and talents, and soul purpose, which are covered by the printed report. A personal consultation is more comprehensive and also includes life purpose, influences of the current year, and addresses specific questions.
. . . based on the current position of the planets in relation to your birth chart. Their positions are compared to your birth chart to confirm what’s happening now, what’s already occurred and what’s coming up in the near future. The report looks at the planetary influences around you for the coming months and lists the surrounding influences. A personal reading offers more specific information on trends and changes you are likely to encounter. What are you looking for in a friend, a lover, a marriage partner. How well do you relate to others? What are you attracted to and gives you pleasure, and what makes you happy or sad? Synastry means ‘to bring the stars together’. Synastry compares birth charts in order to understand the interaction between two people. Both personal readings and reports are available. A child is at the beginning of life so the Child Report focuses on potentials. All the planets and their specific influences are discussed – strengths and weaknesses, potentials and pitfalls, skills and talents, and soul purpose. This report offers useful and practical information that helps parents and mentors gain valuable insight and understanding. Report only – in printed booklet format or emailed. © 2019 Astrosense Astrology. WordPress Theme by Solostream.